Looking forward to visiting the pumpkin patches, corn mazes, hayrides, gourds and other Fall activities in and around San Diego? Below see some get farms, where you take a hay ride out into the field, or elaborate farm stands with mountains of pumpkins and other activities and some are simple roadside stands. Most have loads of pumpkins to choose from. To really make it fun for your kids, look for those that have the extra activities, like a corn maze, spook house, or hayride. There is usually a small fee for the mazes (of course, the more elaborate mazes tend to charge more. Hayrides are often free. ALWAYS call before you go to confirm the info. Bates Nut Farm – For over 30 years families have made it an annual tradition to come out to Bates 100 acre farm during the month of Oct to celebrate the fall season. The Pumpkin Patch is the largest, oldest & most famous in San Diego County. Pumpkins for sale in the shop or farmstand, pumpkin patch-pick in the field where they grow, pumpkin patch- harvested and laid out on the ground or lawn, straw or hay bale maze, we also have pie pumpkins, tractor-pulled hay rides, Fall festival, gift shop, concessions / refreshment stand, porta-potties, restrooms, picnic area, face painting, inflatables/bounce house, pony rides, petting zoo with farm animals. 15954 Woods Valley Road, Valley Center, CA 92082. Phone: (760) 749-3333. Email: info@batesnutfarm.biz. Open: Monday to Friday from 9 am to 5:30 pm and weekends from 8:30 am to 6. Julian Mining Company – Last weekend of September through November. 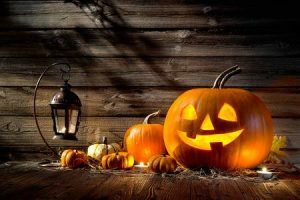 Harvest tour includes cider pressing, hayride, and a visit to the animal corral Spooky night-time hayride (not spooky, just fun and totally kid-friendly!) please call in advance for reservations/payment. Available Saturday nights in October. 4444 highway 78, Julian, CA 92036. Phone: 951-313-0166. Email: julianminingco@aol.com. Don’t forget to stop at The Fall Festival in Santa Ysabel, CA on your way home. Mountain Valley Ranch Pumpkin Patch – Petting zoo with birds, calves, pigs, and ponies. Large corn maze and take a hayride tour of the ranch. An assortment of pumpkins, gourds, and Indian corn; Corn Maze open all day, 7 days a week. Corn Cannon open all day, 7 days a week! Petting Zoo open all day 7 days a week! HAYRIDES – All Day on the Weekends, Tuesday through Friday 3pm-6pm. Pony Rides – All Day on the Weekends, Tuesday through Friday 3pm-6pm.842 Hwy 78, Ramona, CA. Phone: 760-788-8703. Email: mountainunicorn337@yahoo.com. Open 7 Days a week, 9 am to 6 pm. Pacific Southwest Railway Museum – Join in the fun as we board the Pumpkin Express train ride at the historic Campo Depot and travel to the Great Pumpkin Patch. Children and their parents will enjoy the one-hour train ride, they may tour the Haunted Train. Each child gets to pick out his or her own pumpkin and decorate it inside our Display Building. Advance reservations for this popular event are required. The Great Pumpkin is running three trains per day for these special excursions. There is also a gift shop, restrooms, picnic area (bring your own food). 750 Depot Street Highway 94 & Forrest Gate Road, Campo, CA 91906. Phone: 619-478-9937. Pumpkin Station – El Cajon – Visit the pumpkin patch- already gathered from the field, enjoy train rides, snacks and refreshment, restrooms, Bouncy castle or moon bounce and a petting zoo. 415 1/2 Parkway Plaza, El Cajon, CA 92020. Phone: 858-566-7466. Email: nosborn1@san.rr.com.